On Sunday Lewes FC Women travel to Sheffield Olympic Legacy Park to take on Sheffield United in the FA Women’s Championship. In a season of ‘firsts’ this will be the first competitive meeting of the two clubs at any level of the game. 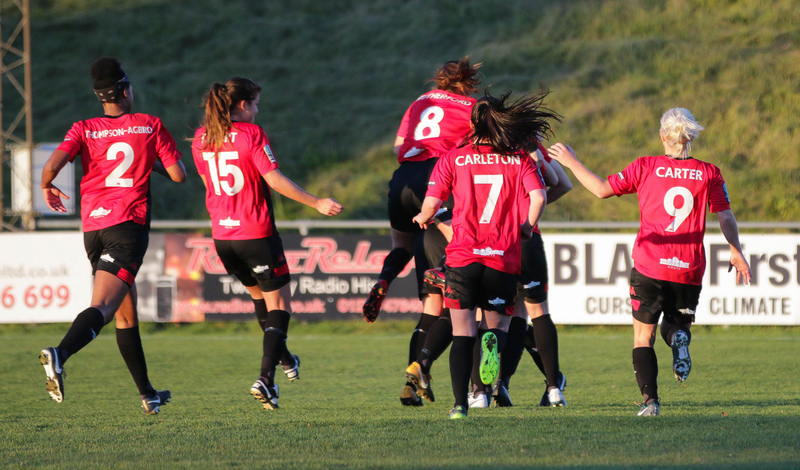 Lewes will be looking to build on a strong second-half performance that saw them come back to secure appoint against Aston Villa at the Dripping Pan, Sarah Kempson levelling the scores with a fabulous left-foot strike that had the +500 crowd on their feet. The Blades will want to bounce back from a disappointing 2-0 loss away to London Bees that sees them a point and a place below Lewes in the FAWC table, having played one game less. Formed in 1988 as Sheffield United Community Ladies, United have made a two-tier jump to join the Championship this season. The club faced a major overhaul in the summer. Manager Carla ward, herself a tier 2 player, scoring over 100 goals for local rivals Sheffield FC, arrived at United a year ago to work alongside then first team manager Dan O’Hearne, taking over in January this year. United finished 3rd last term in the WPL Midlands 1 league, went out of the FA Cup in round 1 to Newcastle, exiting the WPL Cup at the same stage. “Sunday’s match was a great milestone for Sheffield United Women and Sheffield Olympic Legacy Park alike. The venue is also home to Sheffield Eagles Rugby League Football Club and used by students from UTC Sheffield Olympic Legacy Park campus and Oasis Academy Don Valley. A planning application has been submitted for a Community Stadium, where developer Kevin McCabe’s Scarborough Group expect to be granted planning permission by the end of November to begin construction in the Spring. Prior to that, two trips to London brought mixed results, an excellent 1-0 win at Crystal Palace, Jade Pennock scoring the only goal of the game in the first half. This followed a 2-0 loss to Charlton, Stobbs and Clifford the scorers for the Addicks. Back in September United beat Aston Villa, Lewes’s last opponents, 4-1 away, Sophie Jones bagging a hat-trick on debut after Alethea Paul opened the scoring from the spot inside the first five minutes.